The brand-spanking new operations officer of Virgin Media Business on Richard Branson, killer interview questions and why second place is sometimes better than first. MT: So, congratulations on the new job. Has it been a culture shock at all? TG: Not exactly. I’ve been planning my move for six months so there haven’t been many surprises. And I’ve been with the company a long time; I know a lot of the senior and middle management already. But I did spend my first 30 days or so taking it all in and trying to find out more information about the inner workings of the business. Why did A, B or C happen. And did I, sitting in my nice ivory tower of ‘Group’ really have all the facts. Did you come into the role with any targets in mind? Really big targets. 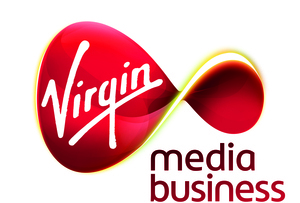 I want Virgin Media Business to be the true challenger to BT, to grow our market share from single digits and really be that number two. Number two? Not number one? Well, the market leader is much, much bigger than anyone else. BT has 50%-plus market share. That’s a difficult target to take on in one large mouthful. And it’s great to be the underdog, with that Virgin ethos of the challenger, the disruptor. Do you have a hope in hell of hitting that target? Well, we have three competitive advantages. The first is our network. We own 11% of the fibre network in the ground across the UK. Compare that to Cable & Wireless, which is currently the number two, and owns about 1%. Then we have the Virgin brand, which differentiates us from the staid old telecoms. And lastly, our people. We have 40 regional offices across the UK - more than any other telecom - so if it’s important to you, you’ll hear a Brum voice in Birmingham and a Geordie voice in Newcastle, and if it’s me you’ll hear a Scottish accent in Surrey which confuses people. How do you spot the real gems? Virgin likes to employ people with a bit more energy, a bit more character about them. I’ve picked up a tip from our FD Graham when interviewing potential staff. It’s a cracking question. Out of nowhere, you ask, ‘If I gave you £100,000 right now, what would you do with it’. There’s no right or wrong answer, just an interesting one – or, in some cases, not very. The finance guys invariable think they should just say, ‘I’d pay off my mortgage’ but we did get one guy who said he’d buy a Ferrari and go away on holiday and party for a month. Perhaps he was angling for an invite to Necker Island? Have you been? Necker Island is a treat for those above my pay grade. Richard’s not that heavily involved in this part of the business. We use him selectively in advertising but he’s more of a figurehead. We grew revenue 7% last year. And in Q4, we actually grew 11% year-on-year. In the current environment, these are very respectable results. We’ve got 65,000 customers across the UK, we service 28 of the 33 boroughs in London, 60% of emergency and health services in the UK, and 50% of police services. We also own 186,000km of fibre optic network out there in the ground: that’s $20bn invested in the network over the years. And lastly, tell us something not many people know about you.